Chevron is the true British motor racing story, the talented engineer who started in a lock up garage and went on to be one of the worlds leading names in both sports car and single seater formula racing. No fewer than six former Chevron drivers went on to achieve World Champion status. An extraordinary talent, Derek Bennett was a brilliant and mainly self taught engineer with an impressive aptitude for repairing, modifying and sculpting race cars. Like so many of the great race car producers of his era, when he was not working at the track, he could often be found behind the wheel. Competing himself in a number of cars and considering purchasing a new race car, with the ever changing racing regulations he felt he could produce a better example himself. Created on a space frame chassis and powered by a Ford Kent engine and carrying the Chevron name the B1 made its debut at Kirkistown in 1965 and won the race. This was to be the first of many victories for Derek Bennett and his impressive Chevron cars. The success of the Chevron marque became closely intertwined with its customers worldwide, buying and racing their Chevron cars most notably in 2-litre sports car competition but also single seater Formula 5000, Formula 2 and Formula 3. In sports cars, Bennett had found great success with the B6 and B8 2 litre BMW engined chassis, before going on to develop the B16. Work had started on the prototype B16 in early 1969, building on the knowledge and experience gained over the previous years. 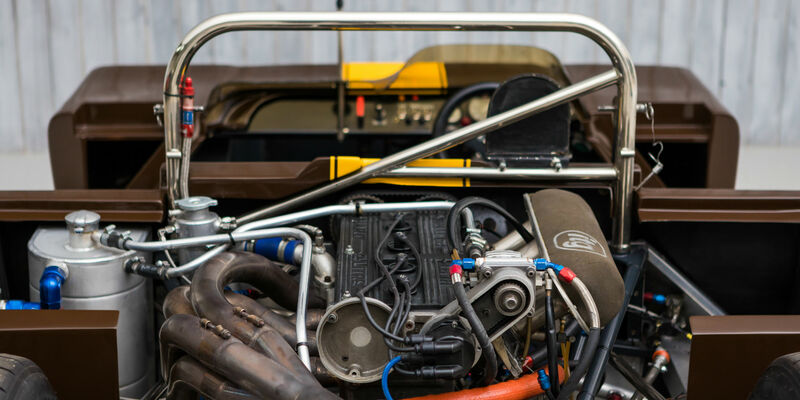 The B16 featured a space frame chassis with steel and duraluminium sheeting added to form a monocoque centre section, along with tubular frames to carry the front suspension, mid mounted Cosworth FVC, BMW M10 or Mazda rotary engine, gearbox and rear suspension. 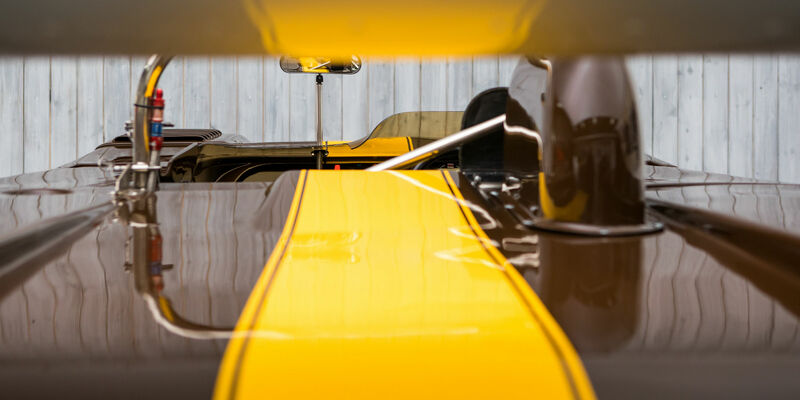 The bodywork turned out to be another masterpiece by Jim Clark of Specialised Mouldings, a man responsible for the look of many of the great sixties and seventies racing cars. 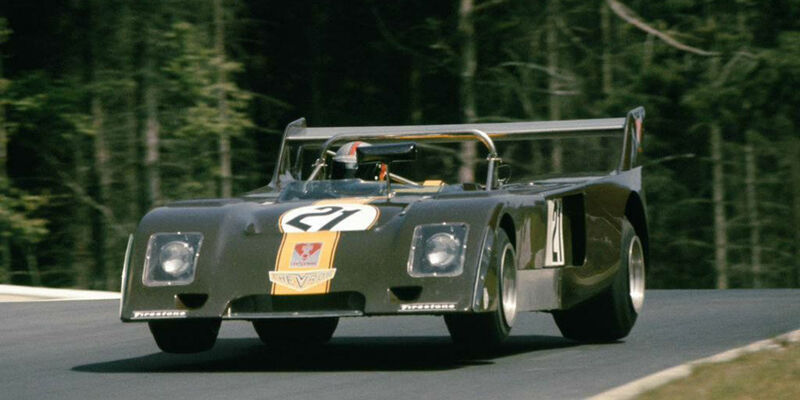 In the late part of the 1970 season following feedback from driver Brian Redman about the limitations of weight caused by the bodywork, Bennett trialled an open top version of the B16, dubbed the B16 Spyder. Literally a B16 chassis with the roof removed and lightweight, short aluminium body, the B16S proved to be successful with Redman winning the European Championship’s Belgium qualifying round at Spa Francorchamps before going on to clinch the inaugural European Sportscar Championship for Chevron. This led to the development of the B19, a model which attracted many orders resulting in 35 cars being constructed by Chevron. The production B19s featured a similarly constructed chassis with fibreglass bodywork and typically an 1,800cc Cosworth FVC engine. From the B19 came the B21 and B23, all based on the panelled space frame design, but they became uncompetitive with more advanced opposition from Lola and Osella. Bennett went back to the drawing board for the next 2-litre sports car model, the B26. As a complete new design it used an aluminium monocoque with subframe to support the engine, gearbox and gearbox assemblies. The bodywork design introduced an integrated large, full width rear wing to provide considerable downforce. Chassis B26-74-10 was completed in April 1974 as the Works car. Liveried in the distinctive combination of brown with a yellow centre stripe this car soon gained the nickname ‘Chocolate Drop’. It was fitted with a development Hart 420R engine, worth 15hp with a saving of around 15kgs over the Cosworth BDAs, which the other B26s ran. 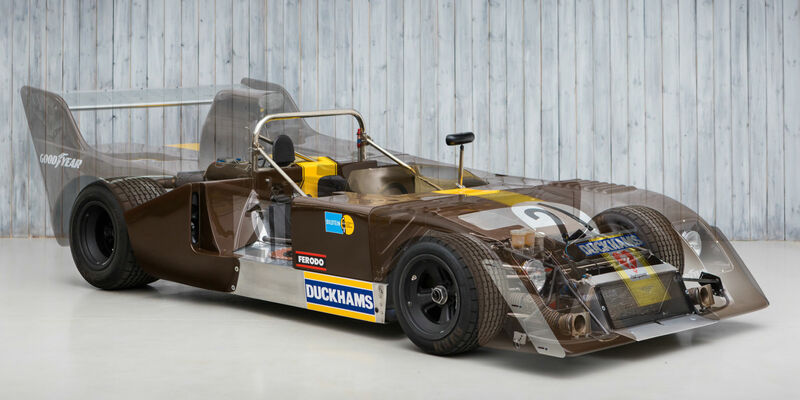 Chocolate Drop made its race debut at the Silverstone Interserie round entered under Chevron Cars Ltd with Peter Gethin driving and Brian Hart in attendance to oversee the engine. Qualifying 8th overall, Gethin battled with 4.5 litre turbo charged Porsche 917s and 8 litre McLarens to finish 5th overall, 1st in the 2-litre class and one lap ahead of the next 2-litre car, a result which delighted Hart. Chocolate Drop’s next outing was just a week later at the Nurburgring where it made its World Championship debut, which was also the first World Championship appearance for the Hart 420R engine. Gethin was this time paired with fellow Works driver John Watson, and they qualified first in the 2-litre class and 8th overall against the Works Alfa Romeos, Matras and Gulf Mirages. 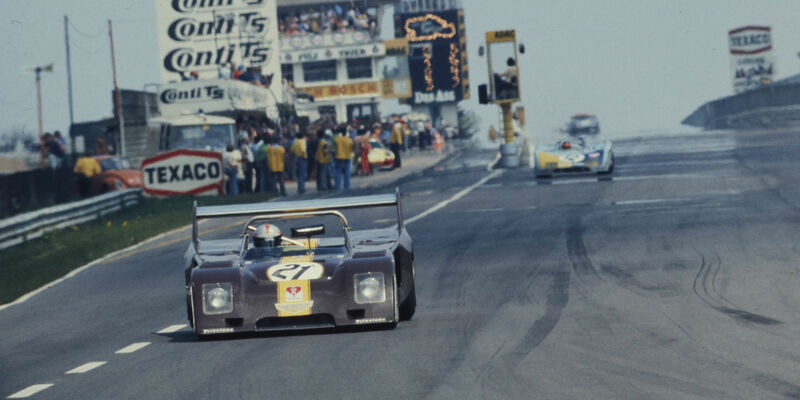 In the 750km race on the full Nordschleife circuit, Chocolate Drop suffered a wheel bearing failure which put it out of the running in the closing stages while leading the 2-litre class. Watson was also using the Works Chevron outing to familiarise himself with the circuit ahead of the Grand Prix, and swiftly broke the 2-litre lap record with Chocolate Drop. He recalled: “The pleasure of driving that car on that circuit at that weekend was pretty special”. John Lepp then drove Chocolate Drop complete with Hart 420R in the European 2-Litre Sportscar Championship at Misano on the 21st July where he qualified 6th and finished 9th. Chocolate Drop’s biggest success would come in the British Airways 1000km at Brands Hatch in September 1974. A round of the World Sportscar Championship, Gethin paired up with Brian Redman to pilot Chocolate Drop. The pairing of the two most successful Chevron drivers in their only race together qualified 4th overall, just 0.2 behind the best Gulf Mirage and well ahead of the Porsche contingent as well as over a second faster than the next 2-litre class contender. In the 1000km race, Chocolate Drop flew off the start and got between the works Matras in second place, before dropping to third. Gethin and Redman continued the pace but lost 8 minutes in the pits for a damper change, and remarkably still finish 4th overall, taking another 2-litre class win and just 38 seconds behind the 3-litre Gulf Mirage in 3rd. 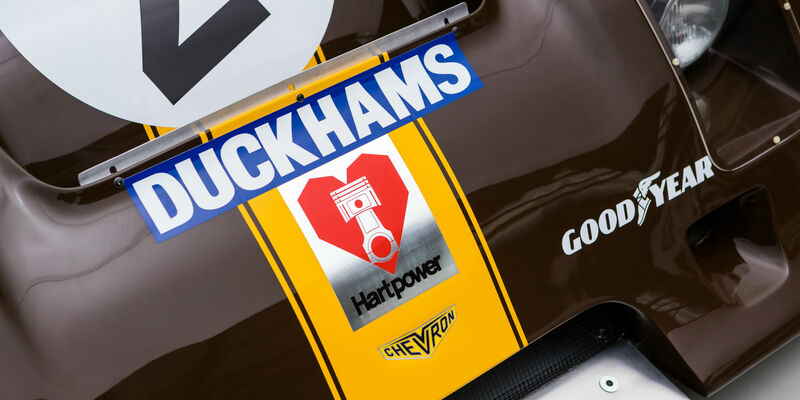 For the final round of the World Sportscar Championship at Kyalami for the 6 Hours, Chocolate Drop was repainted into Team Gunston colours for Gethin to drive with native Ian Scheckter. Chocolate Drop qualified 5th overall and 1st in class, once again right on the heels of the 3-litre DFV powered Gulf Mirages. Gethin and Scheckter recorded a non-finish in the race however when the engine failed. 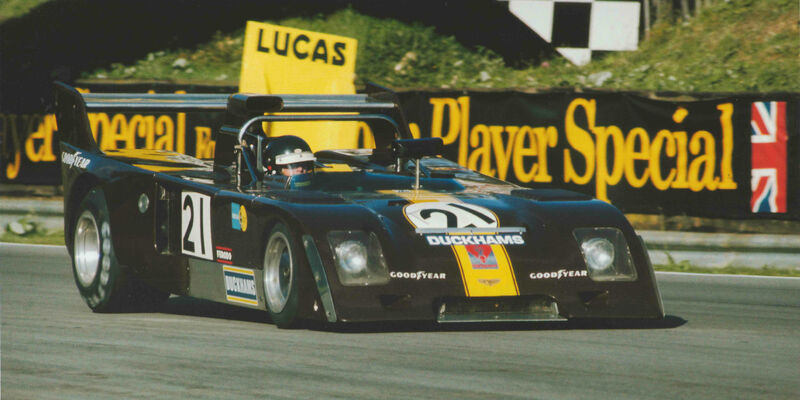 Chocolate Drop’s strong finishes in 1974 helped Chevron secure 5th position in the World Sportscar Manufacturer’s Championship. In 1975, Chevron Cars Ltd sold Chocolate Drop to Scotsman Iain McLaren. McLaren continued to campaign Chocolate Drop in the brown livery with yellow details but now with a Hart prepared Cosworth engine fitted. At his first race in Chocolate Drop at Silverstone in March 1975, McLaren finished 3rd, before returning to Silverstone in April for the Daily Express International Trophy where he did not finish following a collision. The following week, McLaren raced Chocolate Drop at Thruxton to 5th place before going on to the Brands Hatch round of the European 2-Litre Championship in June. McLaren qualified 14th, raced to 11th in the first heat and then to 7th in the second heat, being classified 6th overall on aggregate. In July, he competed at Knockhill for a rather more local outing in the British Sportscar Championship and took victory. McLaren then took Chocolate Drop to the Nurburging for the 300km World Sportscar Championship race in April 1976. He qualified 15th overall and 4th in the 2-Litre class, but lost 5 laps in the race resulting in him not being classified. At Snetterton for the British Sportscar Championship, McLaren took 2nd with Chocolate Drop, before competing in the next round at Oulton Park. Here he qualified 2nd and finished 1st in the race. In August, McLaren competed with Chocolate Drop at Ingliston in a Sports and Special GT race, which he duly won. The next round of the British Championship was at Brands Hatch in September, where McLaren finished 2nd. The final British Championship round that he competed in with Chocolate Drop was at Mallory Park. McLaren qualified 1st and maintained the position to finish 1st. Having won four rounds in 1976, McLaren and Chocolate Drop won the British Sportscar Championship. McLaren then sold Chocolate Drop to Richard Philip and Alan Sharpe in 1977 and it was subsequently converted to a Skoda Super Saloon. Jim Price then first raced the by now Skoda at Donington in March 1980. Chocolate Drop then went to Walter Robertson in early 1981, who sold Price his DFVW after Price complained that the could not beat Robertson. 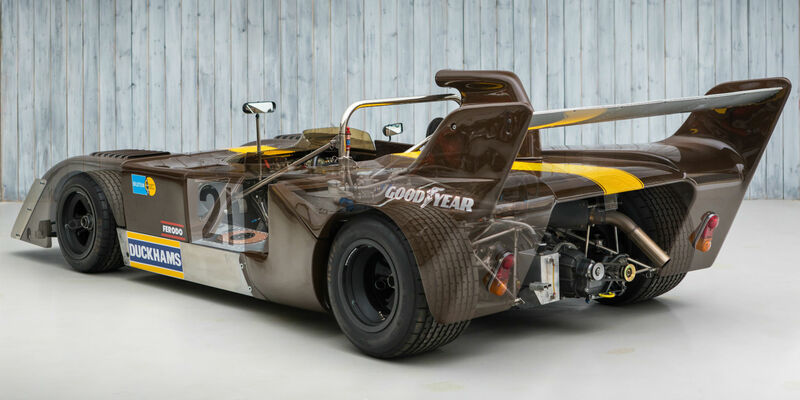 A first hand conversation with Robertson confirmed that it was Chocolate Drop which he bought from Price, and that it was very much still the Chevron B26 with Hart power underneath, with an added roll cage and Skoda style bodywork. While in Robertson’s ownership, Chocolate Drop was maintained by Colin Bennett Racing. Robertson also fondly remembered that nothing could live with Chocolate Drop in the corners! Robertson sold the car to Malcolm Johnstone in 1982 who raced it in before keeping it through the 1980s. Johnstone got in touch with ex-Chevron mechanic Neil Bailey about the possibility of him restoring Chocolate Drop back to its pure B26 form. Shortly after these conversations, Johnstone decided that he could do with funds elsewhere and asked Bailey to sell the car for him. Bailey discussed it with Mike Pendlebury, who collected Chevrons at the time, and Pendlebury agreed to buy the car from Johnstone in what was c.1989. 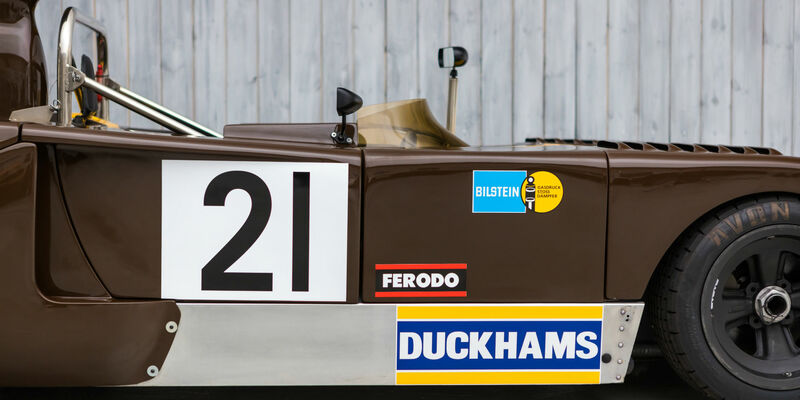 Bailey was then tasked with restoring Chocolate Drop back into pure Chevron B26 form from the Skoda configuration, with the works being completed in 1991. 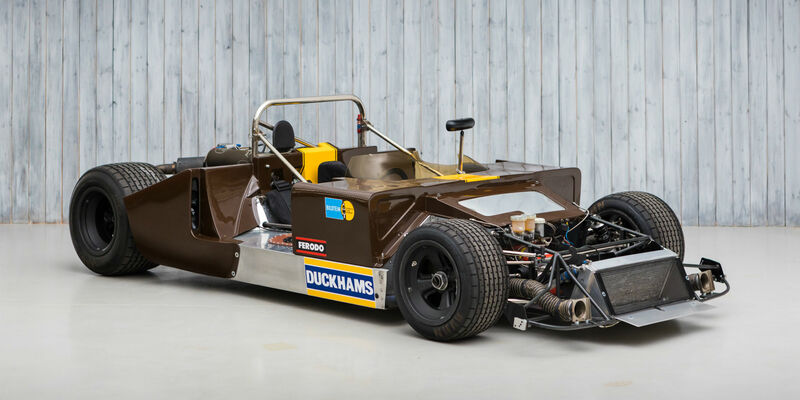 The restoration was aided by Steve Sheldon, who Bailey was working with, who was one of the original mechanics who ran Chocolate in 1974 with Gethin, Redman and Watson driving. Further recent first hand conversations with Bailey confirm that there are features present on the car which only Chocolate Drop had, and that they had no doubts that it is Chocolate Drop. Chocolate Drop was then sold to John Lloyd in 1993, and on to Andrew Jackson in 1999. Jackson kept Chocolate drop until 2004 when he sold it to John Ruston. 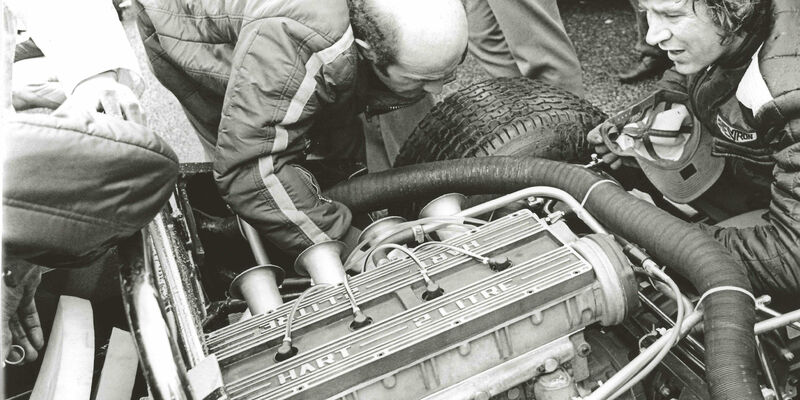 Ruston had Gareth Burnett of Pace Products, where Bailey was now working, go through the car completely and prepare it. 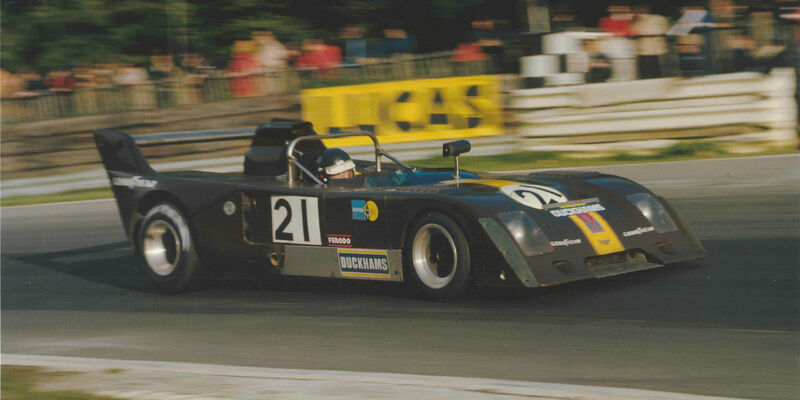 Ruston then took Chocolate Drop to the Le Mans Classic in 2006 where it qualified 3rd in Plateau 6, and again in 2008. In 2009, Chocolate Drop was bought by Charlie Remnant with the Hart 420R engine freshly rebuilt and the suspension crack tested. In 2010, Remnant sold Chocolate Drop back to John Ruston who ran the car in Peter Auto’s CER 2. Ruston later sold Chocolate Drop to noted collector Carlos Monteverde in 2012, who then raced the car at Brands Hatch that year. It remained in his collection until 2015 when it was bought by the current owner, who had Simon Hadfield Motorsport check over Chocolate Drop and then enjoyed the car on select test days. More recently, Chocolate Drop has had the bodywork altered to be period correct and been completely repainted, with other details also improved. 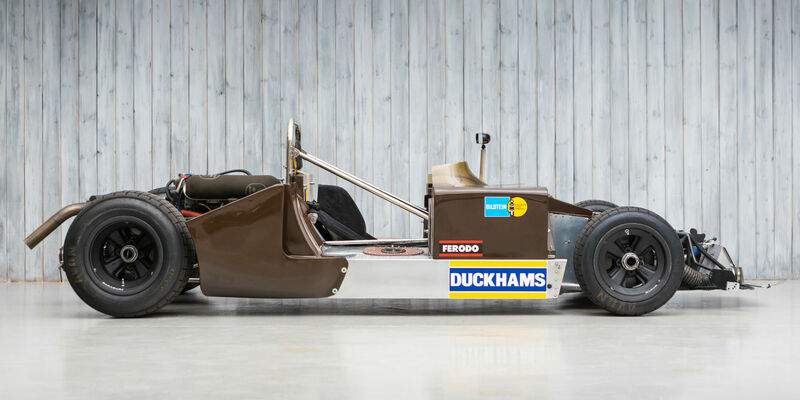 Recently, Hewland Classic have confirmed that the FG400 gearbox was supplied to Chevron on 24th April 1974, so it is very likely to be the original gearbox, still fitted today. Chocolate Drop has new FIA HTPs currently in application, and is accompanied by the older versions dated 2000 and 2008. Also within the file are the crack test certificates, fuel tank certificates, engine dyno sheet and preparation invoices from the last few ownerships, with Chocolate Drop having been used sparingly. 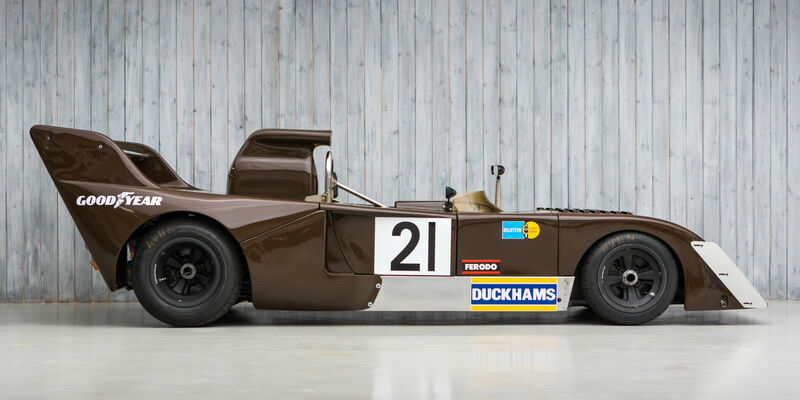 Distinctive in appearance and arguably the most famous of Chevron 2-litre sports cars, Chocolate Drop is the only car that united Chevron’s two most successful Works drivers, Peter Gethin and Brian Redman, with Derek Bennett, team manager Paul Owens and engine guru Brian Hart all in attendance. Also campaigned in period by Formula 1 star John Watson in the World Sportscar Championship, and later by Iain McLaren to win the British Sportscar Championship. 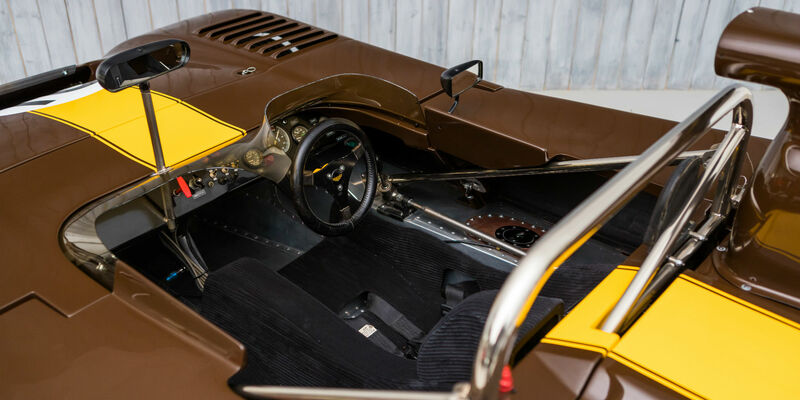 With Le Mans Classic again approaching in 2020, Chocolate Drop stands out as being a fantastic choice to experience the legendary La Sarthe circuit, having been a regular with Peter Auto and a multi-time veteran of Le Mans Classic in the hands of previous owners. We believe that Chocolate Drop would also be a very competitive entry in the FIA Masters Historic Sports Car Championship, Peter Auto CER 2 and HSCC Thundersports Pre ’80 Endurance! 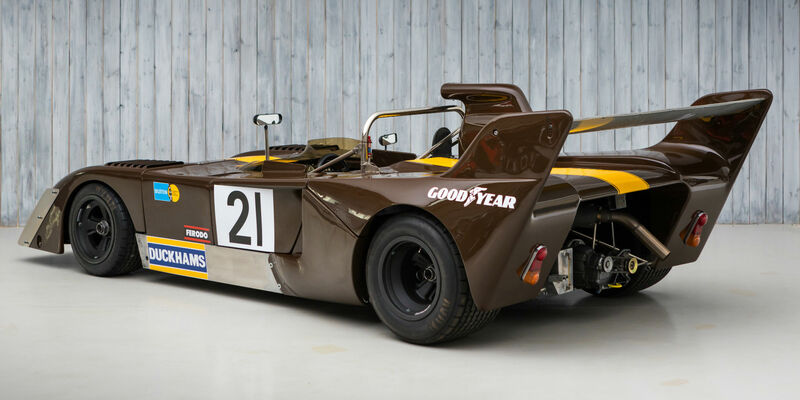 Chocolate Drop is arguably the most famous of Chevrons and one of the most iconic 2-litre Sportscars extant. The car which united Chevron’s best drivers, founder Derek Bennett, team manager Paul Owens and engine guru Brian Hart. 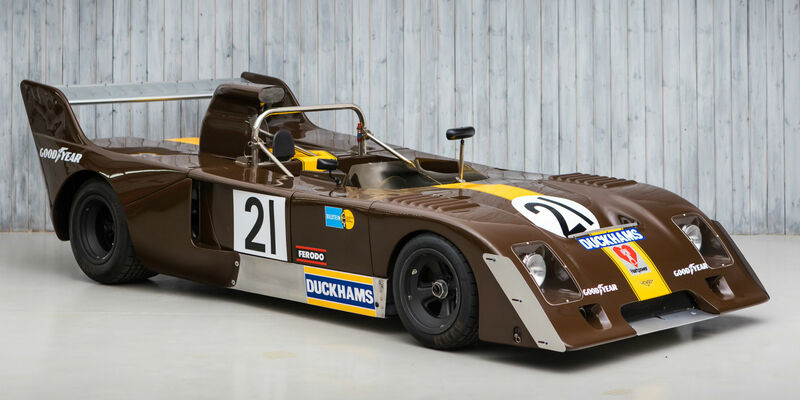 Built by Chevron Cars as a Works entry, fitted with the first Hart 420R engine, and painted in the famous brown with yellow stripe livery that led to its nickname ‘Chocolate Drop’. Debuted at Silverstone in Interserie with Works ace Peter Gethin with Brian Hart in attendance to oversee his development engine. Chocolate Drop finished 5th overall against Porsche 917s and 8-litre McLarens to win the 2-litre class in a very impressive first race. 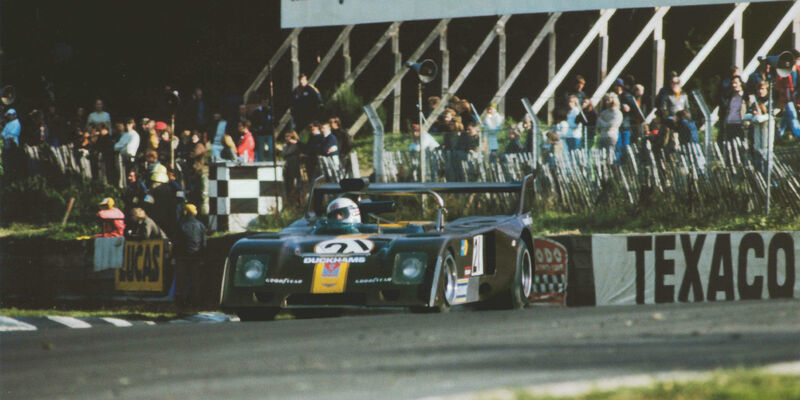 Driven to a stunning result of 4th overall at Brands Hatch in the World Sportscar Championship round, on the only occasion Gethin and Brian Redman, the two most successful Works Chevron drivers, shared a car. Helped Chevron achieve 5th place in the 1974 World Sportscar Championship. Winner of the 1976 British Sportscar Championship with Iain McLaren. Benefitting from recent cosmetic overhaul with new FIA HTPs in application. Chocolate Drop is a multiple veteran of Le Mans Classic and has been a regular with Peter Auto in CER 2. 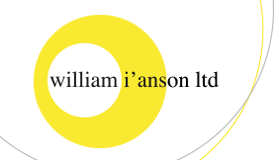 Now is the time to prepare for Le Mans Classic in 2020 with the most important Chevron in existence. Also eligible and a brilliant choice for FIA Masters Historic Sports Cars and HSCC Thundersports / Pre ’80 Endurance.